Erik works at the Gippsland Campus of Federation University Australia as a Professor of History. In the period 2015 and 2016 he was the Keith Cameron Professor of Australian History at University College Dublin, Ireland. His expertise covers Australian history especially regional, labour, social and environmental histories. He is also interested in heritage studies, mining in local and global contexts, social policy history, and community engagement. 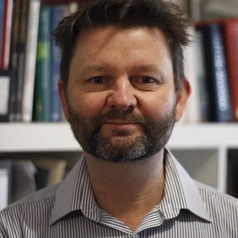 He is a former Treasurer of the Australian Historical Association (2008 to 2012), and a member of the editorial boards for the journals, 'Labour History' and 'History Australia'. His previous monograph publications include 'Steel Town: the making and breaking of Port Kembla' (MUP, 2002) and 'Mining Towns: making a living, making a life' (UNSW Press, 2012).